There were just a few boxes that weren’t important enough to be taken out with all the other store furnishings. 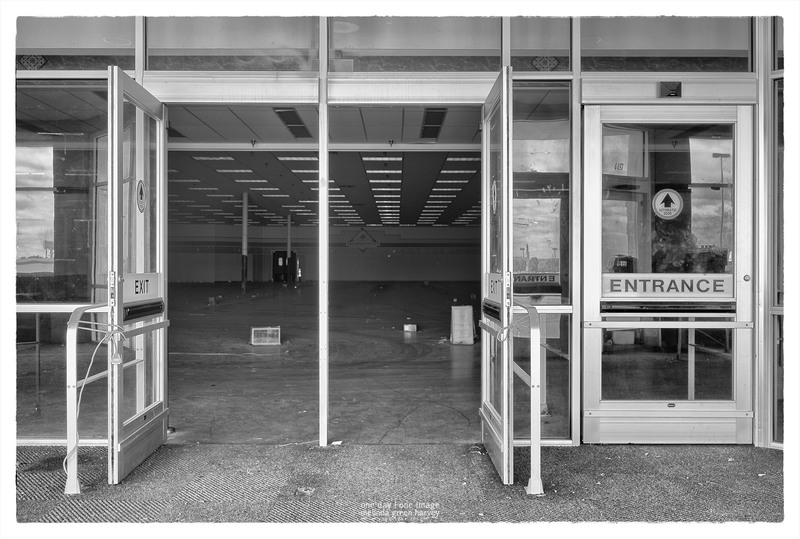 Posted on May 2, 2017, in Photography and tagged 365 photo project, abandoned buildings, abilene, Abilene TexasA, big empty box, black and white photography, dead K Mart, K Mart, learning to see, Leica, melinda green harvey, monochrome, one day one image, photo a day, photography, postaday, texas, thoughtful seeing. Bookmark the permalink. 2 Comments. Love how the entrance doors are closed while the exit doors are tied open. That is sort of a funny arrangement – I guess it was to facilitate moving everything out. Which makes me think there was a door-use monitor who blocked the path of renegades who were trying to leave through the entrance!